A classic example in the standard form . 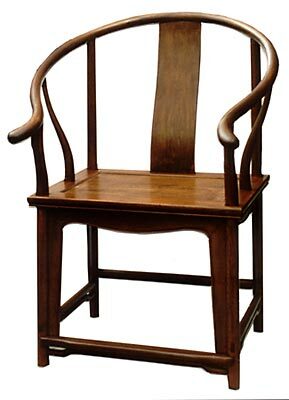 It incorporates sophisticatedjoinery techniques throughout and especially at the 5 piece curved armrest. Curvilinear proportions are displayed at its best here. The S-shaped backsplat and high armrest makes this chair an ergonomic one.